Whenever James Peterson tackles a topic for a cookbook, you know that you’re getting the most thorough and comprehensive book on that subject (as with his Fish and Shellfish, and Sauces), and in Splendid Soups, he is up to his usual award-winning fine form. With 400 recipes, he literally brings together the finest soup-making techniques and dishes from around the world. An exemplary teacher, he also gives readers the basics to build from the classics, and to create their own dishes and have the confidence to improvise. 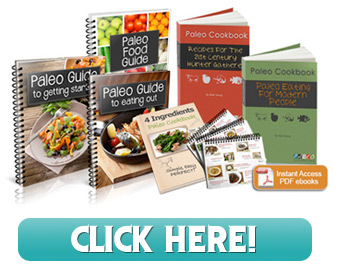 The recipes are logically organized by main ingredient—Broths, Vegetables, Rice, Fish, Shellfish, Crustaceans, Meat, Bread, Cheese, and lastly, Fruit Soups and Dessert Soups. Soups are the most versatile and forgiving of dishes to make, and every cook needs one decent cookbook to refer to for guidance, inspiration, and reference. 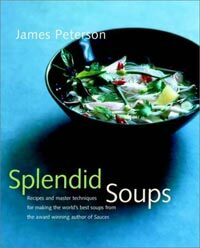 Splendid Soups is the best and only book you will need on the subject.